But enough of the marketing hype, this competition has a reputation to uphold. Every year, hundreds line up outside the SE Village for a chance to see our contest live. This competition has been a driving force behind the increased awareness of the dangers SE poses to infosec and physical security for the past seven years. All this from SE rookies (and a few veterans) like yourself who decided to put themselves to the test. In honor of this influential tradition, SE Village strives to find those diamonds-in-the-rough in order to give them that chance to prove they are shiny. This year: We Want You! The SECTF has two distinct parts and you must participate in both to be eligible to compete. If you are accepted, pay your fully-refunded-upon-arrival deposit of $20 to compete. Get your assigned target and instructions for the pre-DEF CON portion of the competition by the deadline outlined in your acceptance email. This involves a list of flags you need to find using ONLY open-source information (Rules page goes into more detail). Hand in your OSINT report for the judges to score. Take time to come up with pretexts and questions for the live-portion of the competition. Show up for your time slot (get that twenty bucks back). Pat yourself on the back and bask in the courage and validation of stepping up to the challenge. 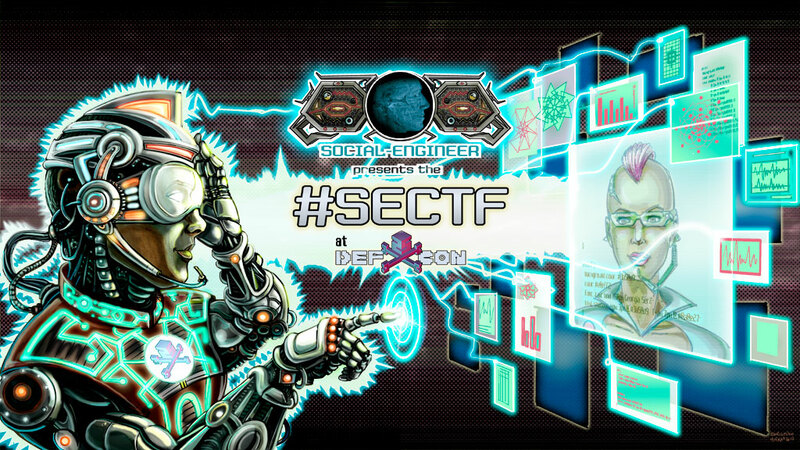 Filed Under: DEFCON Updates, General Social Engineer Blog Like it? Share it! i will like to participate but the registration is closed. Is there any chance to participate in any other way.